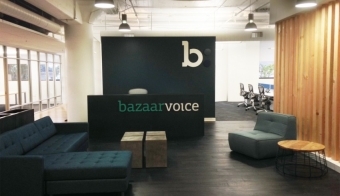 Bazaarvoice, a US company that develops technologies connecting brands to consumers, on July 3rd opened its office in Vilnius, with plans to hire 70 to 80 professionals in Lithuania in the next six months and pay them 1.6 million euros in salaries annually, reports LETA/BNS. "We are hiring 70 to 80 people here; I think it's a pretty good investment right now," Bazaarvoice Vice-President Dub Landgrebe said at the opening event. "We started off with 15 locations across Europe, narrowed it to 15 and it came down to a couple of different things. First, the tech talent here is amazing(...). It's easy to do business and the effective communications that we'll be able to have with our offices in Belfast, London, the US. It's just the right fit for us," he said. The Vilnius office, which now employs 42 people, will provide technical support to the company's customers in the United States and other countries. Bazaarvoice has offices in the US, France, England, Northern Ireland, Germany and Australia.